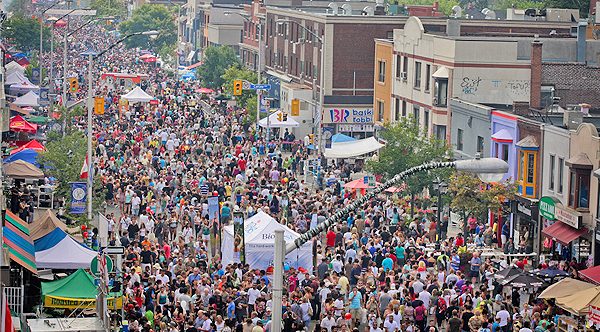 Taste of the Danforth festival returns this Friday, Aug. 8, through to Sunday, Aug. 10 and we are beyond excited to be a part of the festivities this year! Are you looking for a new longboard? We will have a huge variety of boards for sale from Krown Longboards to Moose Longboards, Paradise Longboards, Restless Longboards, and more! With hundreds of products, we have a board for every type of longboarder imaginable. If you’re looking to get into the sport, we have a board just for you! All of our products are built with high-quality Aluminum, Bamboo or Canadian Maple, at affordable prices. Longboard Completes start at just $125! Look for us at 245 Danforth Ave just outside of Quality Optical where we will be setting up shop for the weekend! This years festival is set to be bigger and better than ever before with tons of free activities for visitors of all ages, food, food and more food and of course an amazing selection of longboards from us! So come on out and experience the wonderful energy down on the Danforth, have a taste, and pick up an awesome new longboard while you’re at it. We look forward to seeing you there!